​Cannabis – Cannabis is a family of plants that may be referred to as either indica or sativa. They are kind of like cousins. Indica is the term usually associated with plants with the common name, MARIJUANA. Sativa is the term usually associated with plants with the common name HEMP. Marijuana – Known for having high levels of THC (see below), Cannabis sativa indica, has been a wildly popular choice for consumers interested in having a euphoric experience. This and other THC dominant strains are also used for treating pain, sleeplessness, depression, anxiety and much more. Hemp – What we refer to today as Hemp or Cannabis sativa sativa, is a close relative to C. indica but typically has a higher level of CBD (see below). This is a non-intoxicating variety grown and harvested for fiber, seeds and CBD. It is also called industrial hemp. Full-spectrum hemp – Full-Spectrum Hemp Oil contains a full array of cannabinoids such as CBD, CBG, CBN and even some THC. It also offers vitamins, minerals, fatty acids, protein, chlorophyll, flavonoids and terpenes. 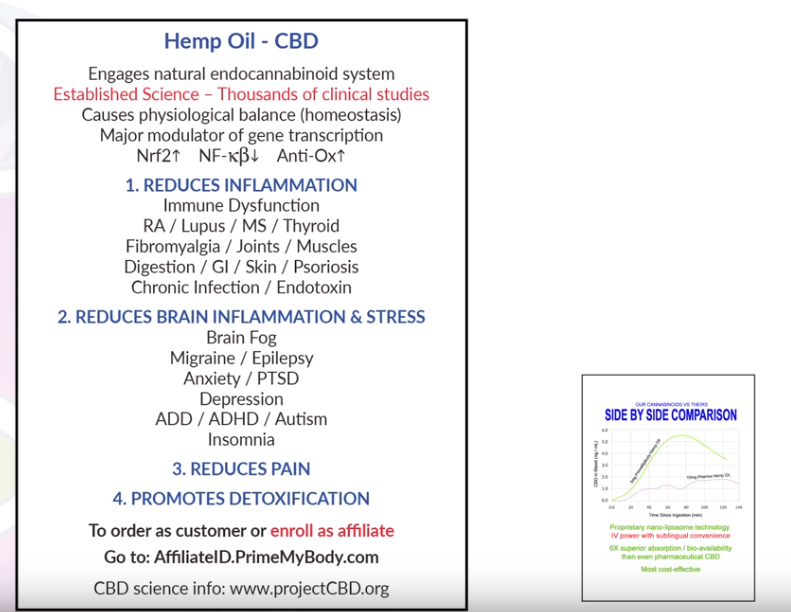 Broad spectrum hemp – A full spectrum oil without any THC. Isolate – A pure source of CBD (99%), where during the extraction process, everything naturally found in the plant matter is removed. This includes any trace of THC, terpenes, waxes, oils, chlorophyll and more. Entourage effect – Using the whole cannabis plant instead of removing certain compounds or changing it to have only one component, produces the entourage effect. When the whole plant, with its full spectrum of therapeutic compounds, is used there is an interactive synergy between the cannabis compounds. Terpenes – What gives plants their aromas? Terpenes are aromatic oils that give cannabis and other plants their distinctive smells and flavors like citrus, berry, mint, pine and lavender. Terpenes also play a critical role in differentiating the effects various cannabis strains will have. Some promote relaxation and stress relief, while others promote focus and acuity. Cannabinoid – Refers to any of the natural, bioactive, chemical compounds found in cannabis plants (hemp or marijuana). It may also refer to chemical compounds produced within the body, or synthetically, similar to those found in plants. Endocannabinoids – Refers to any chemical compound (such as anandamide), naturally produced in the body, which binds to the same brain receptors as cannabinoids. Endocannabinoid System – A biological system of the body that seeks balance or homeostasis. Kind of like the classic fairy tale of Goldilocks and the three bears, our endocannabinoid system wants to keep our body, “just right.” Not too hot, not too cold, not too much sugar, not too little sugar. This system is always working to keep the body and mind in balance. Cannabidiol (CBD) – A non-psychoactive cannabinoid. It is the most plentiful cannabinoid in Sativa (hemp). Tetrahydrocannabinol (THC) – This is one of two specific cannabinoids with psychoactive properties. It is the most plentiful cannabinoid in Indica (marijuana).